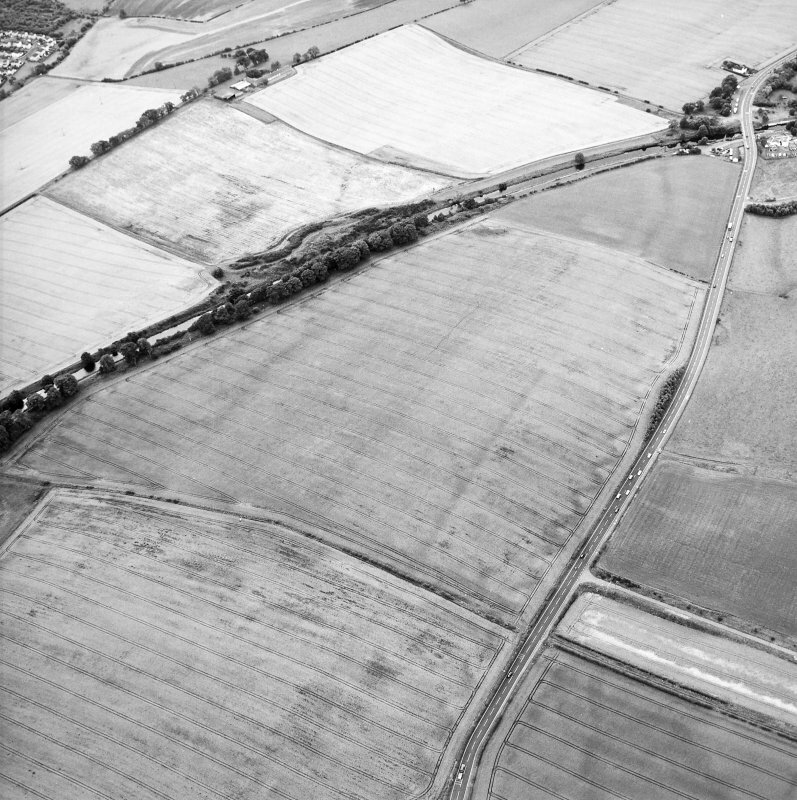 Oblique aerial view centred on the cropmarks of the Antonine Wall and the site of the Roman fortlet, taken from the WNW. 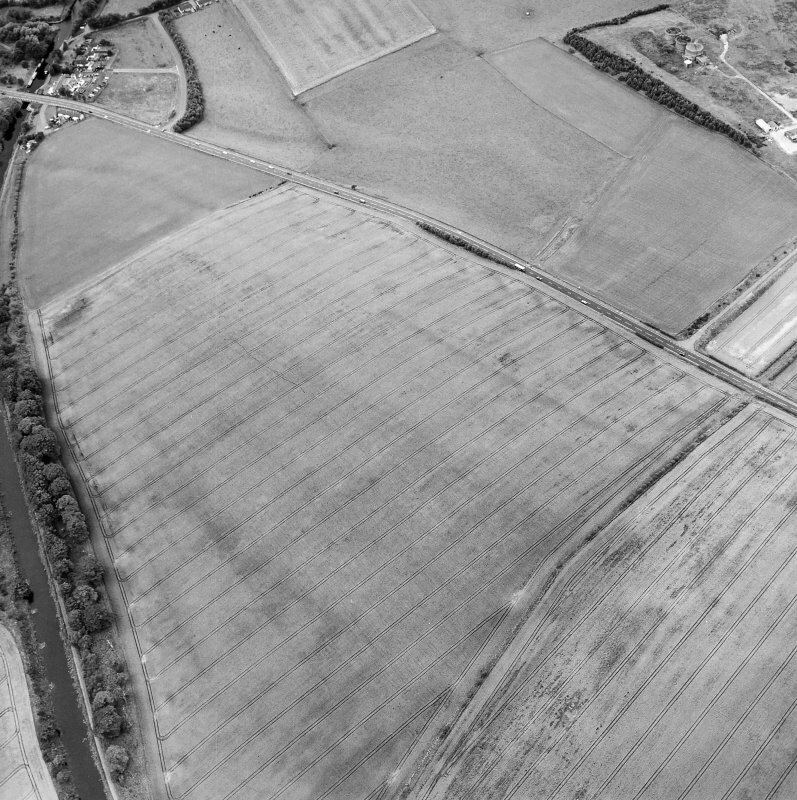 Oblique aerial view centred on the cropmarks of the Antonine Wall and the site of the Roman fortlet, taken from the ENE. 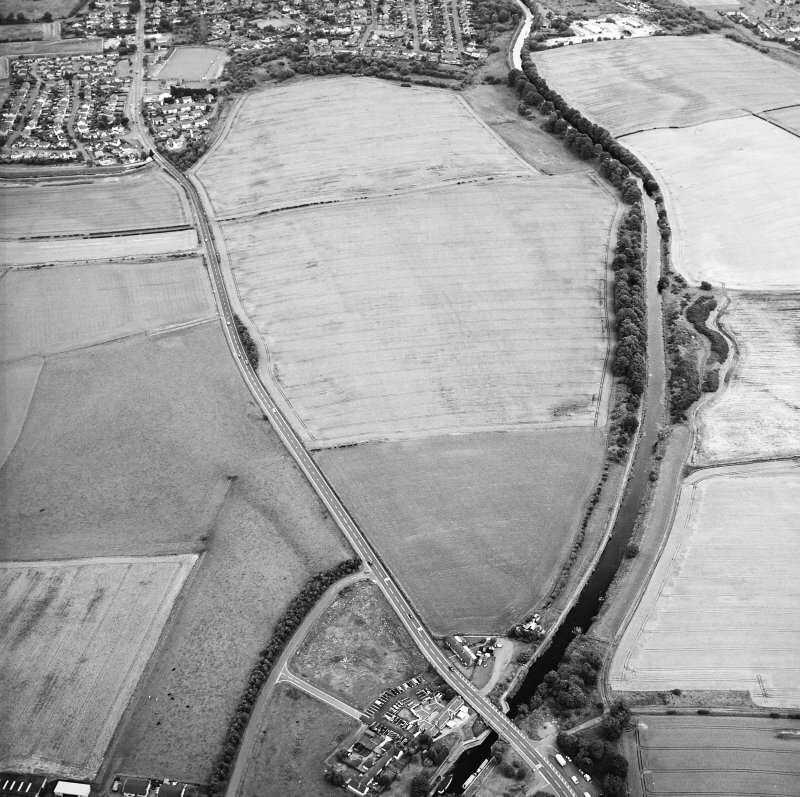 Oblique aerial view centred on the cropmarks of the Antonine Wall and the site of the Roman fortlet, taken from the WSW. 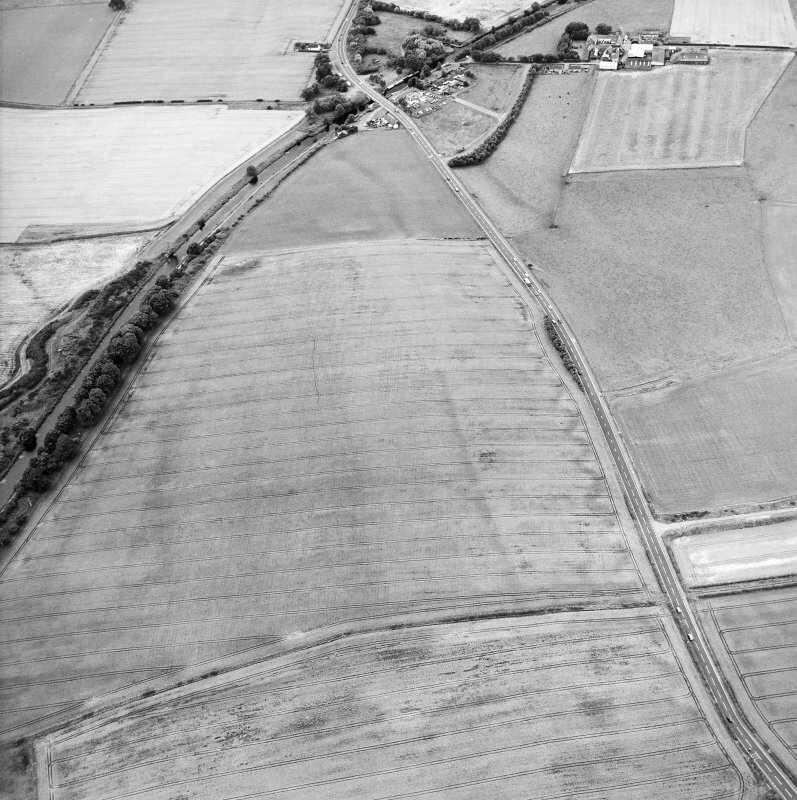 Oblique aerial view centred on the cropmarks of the Antonine Wall and the site of the Roman fortlet, taken from the NE. 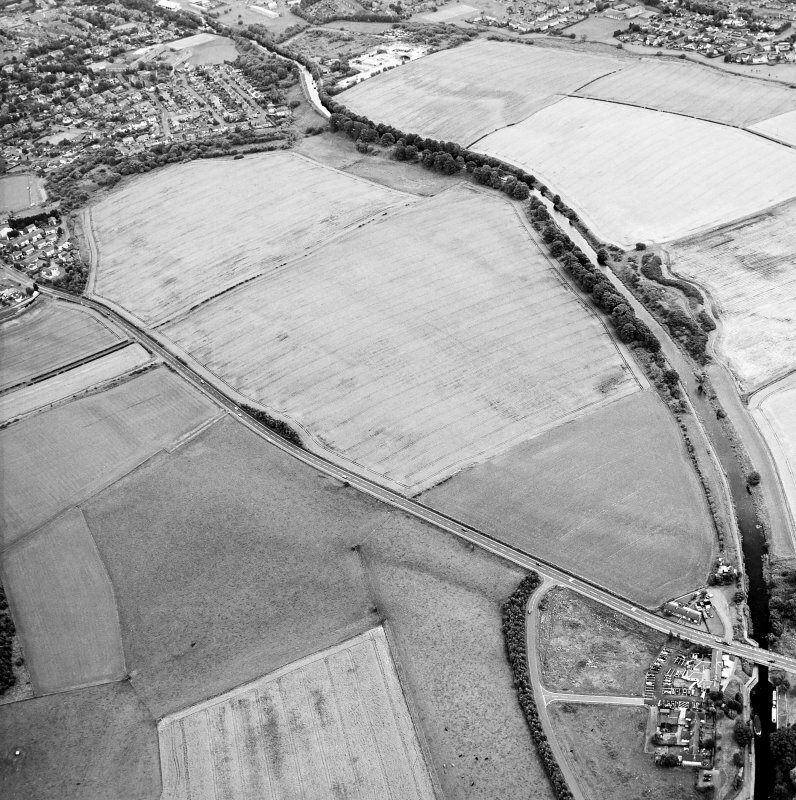 Oblique aerial view centred on the cropmarks of the Antonine Wall and the site of the Roman fortlet, taken from the SE. 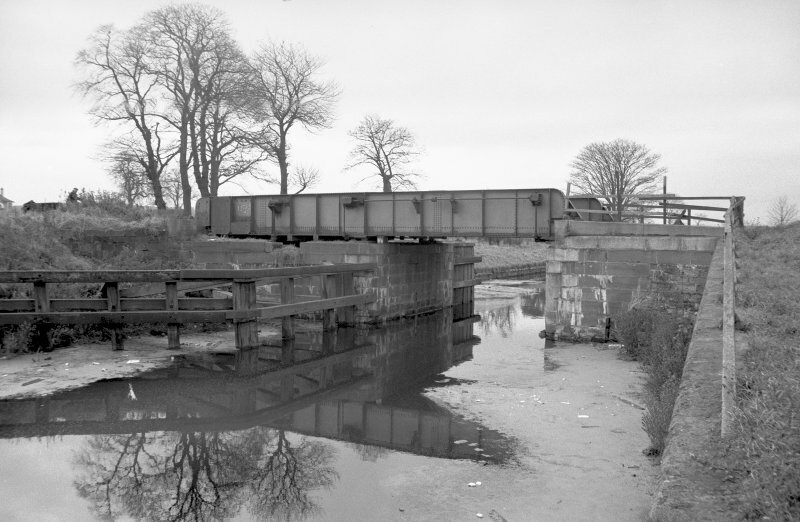 NS67SW 46.01 NS 6345 7302 Culvert (interim replacement). 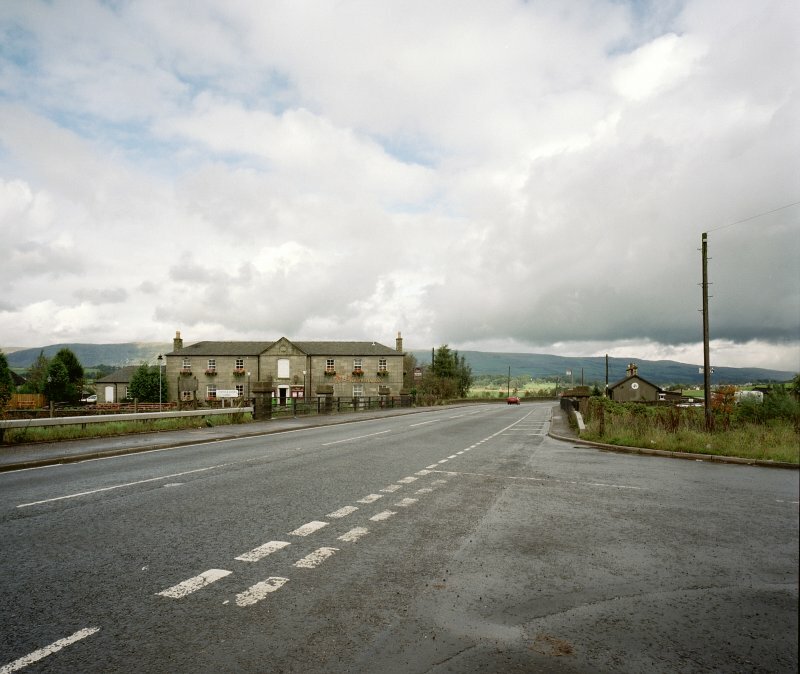 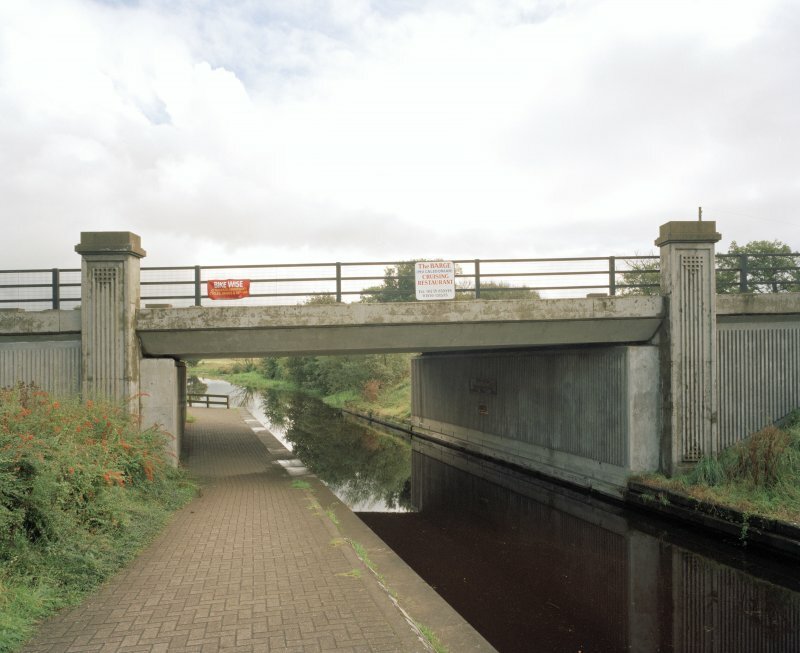 A photographic survey was undertaken, during September 1999, in order to enhance and augment the National Monuments Record Scotland holdings. 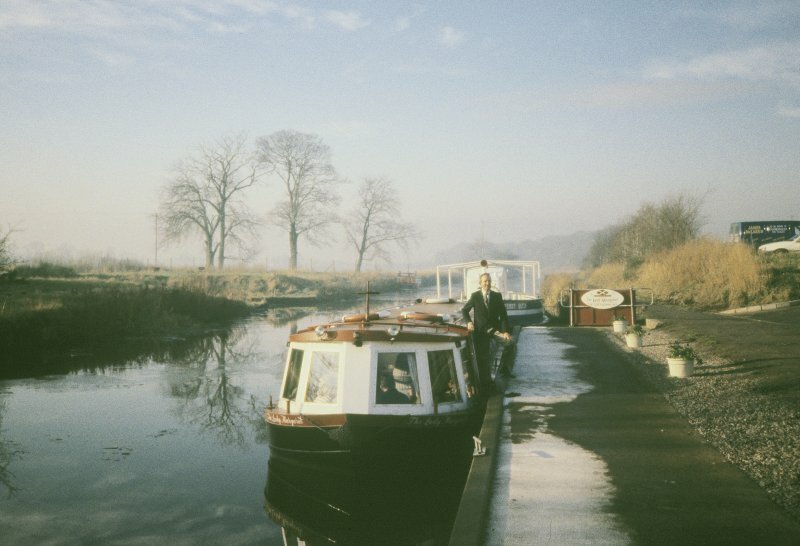 Visited by RCAHMS(MMD), August 1999. 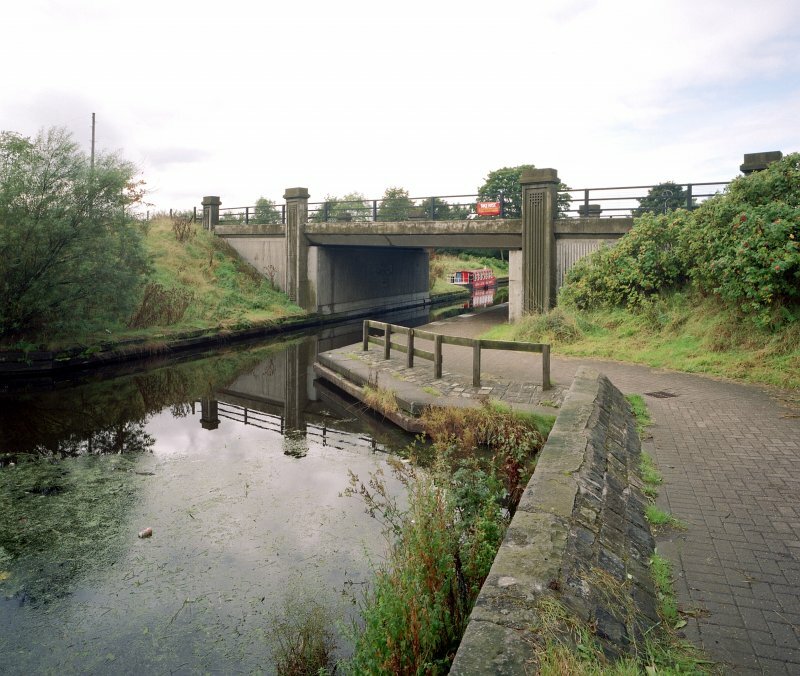 This bridge, carrying the A803 over the canal, has undergone restoration and provides access to Kirkintilloch. 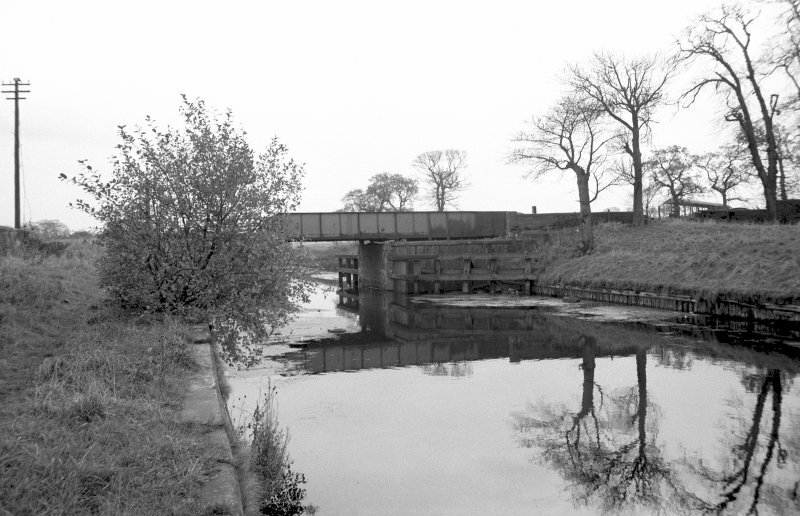 This bridge was originally a swing bridge. 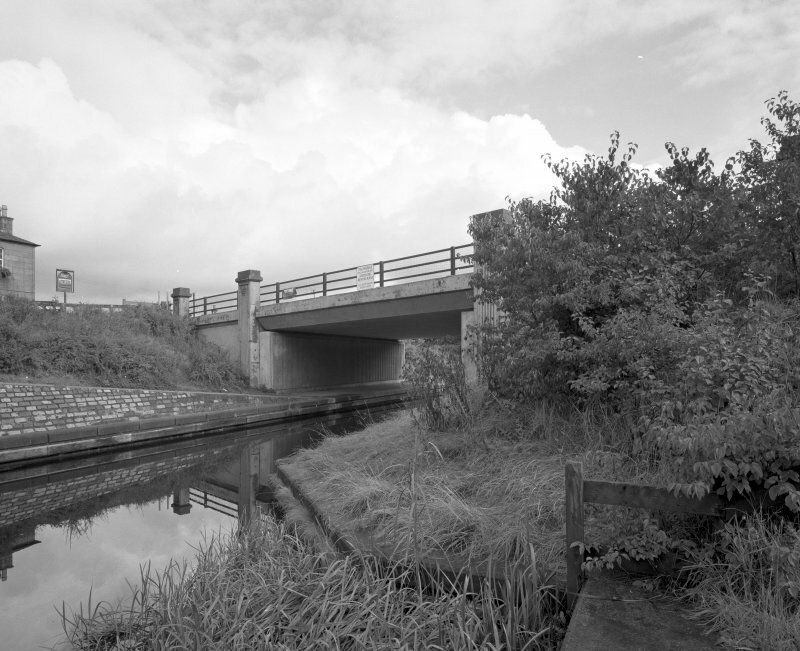 It was culverted (NS67SW 46.01) after the closure of the canal, but was re-opened as a bridge in 1990. 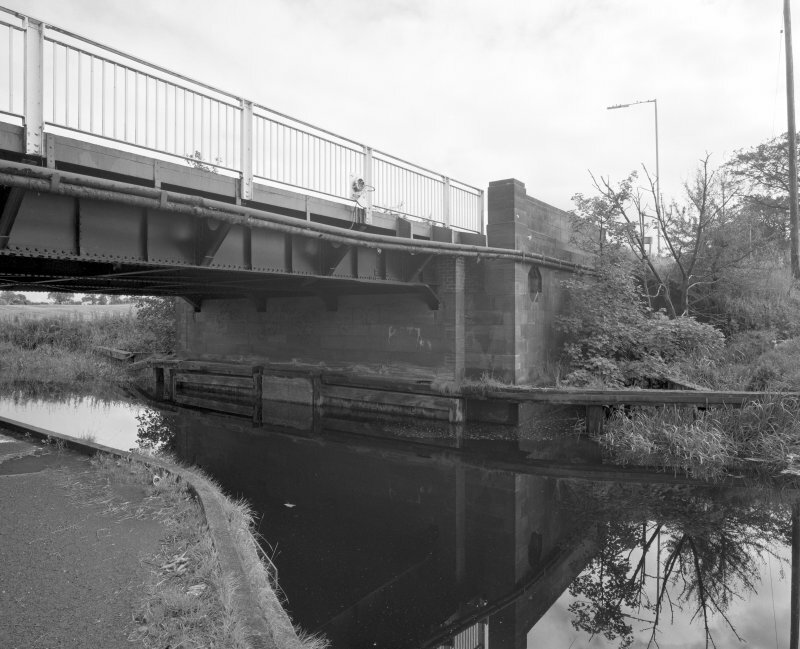 This concrete structure represents one of the first culvert replacements undertaken in order to assist the resumption of navigation on the canal. 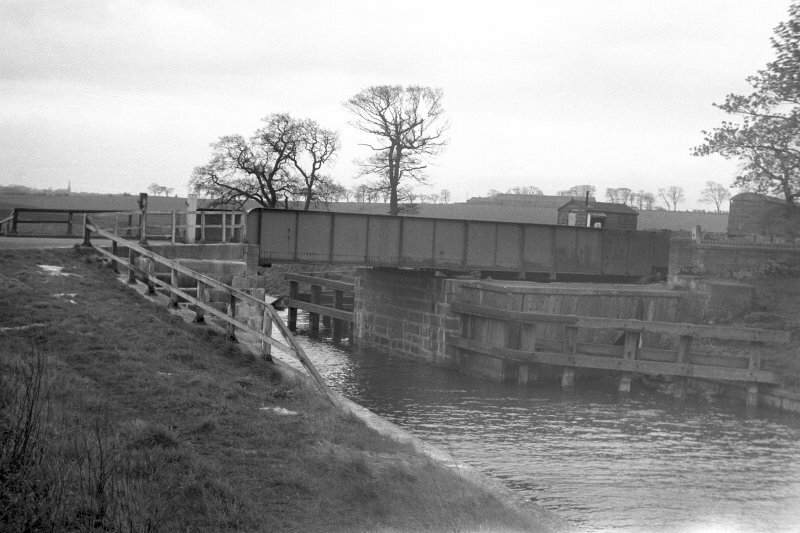 There is a basin just to the W of this bridge, with a launching slip for craft. 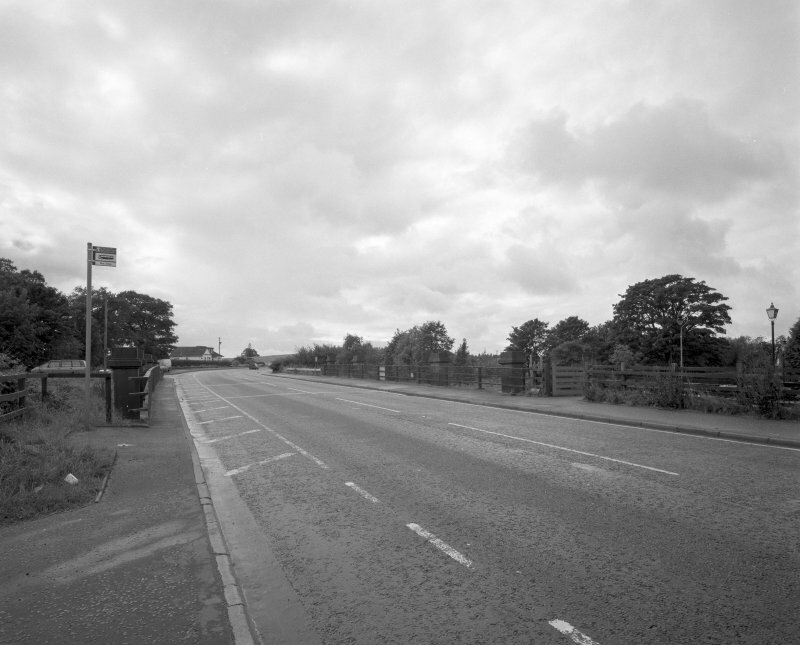 This bridge is clearly marked on the 1st edition of the OS 6-inch map (Lanarkshire 1864, sheet i). 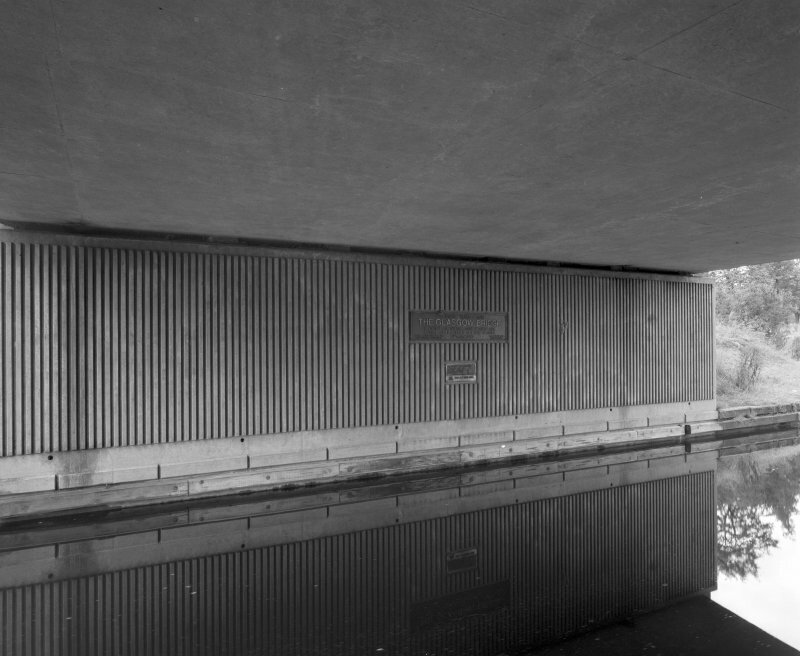 The basin, however, is not visible on the 1st or 2nd edition maps or the current edition of the OS 1:10000 map (1990). 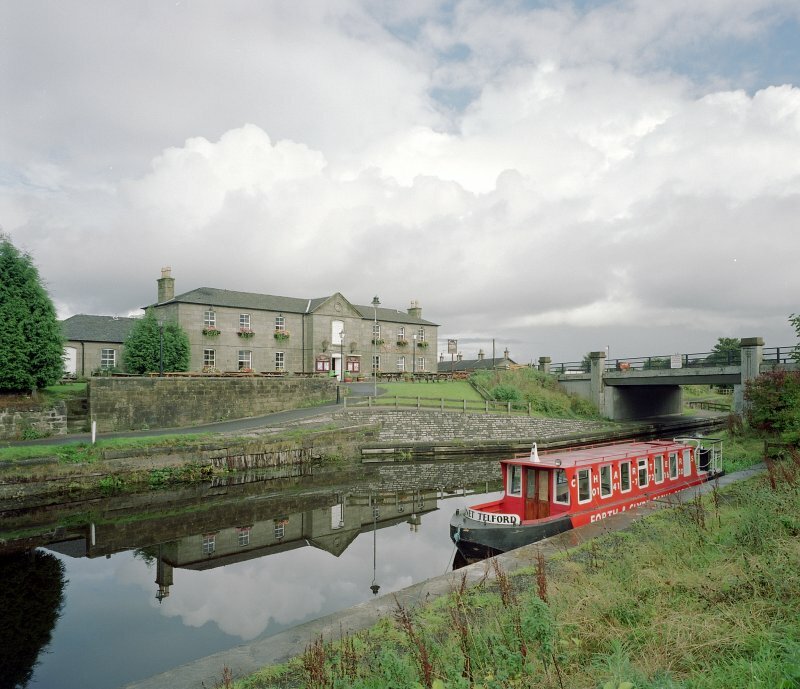 Information from RCAHMS (MD) 26 September 2000. 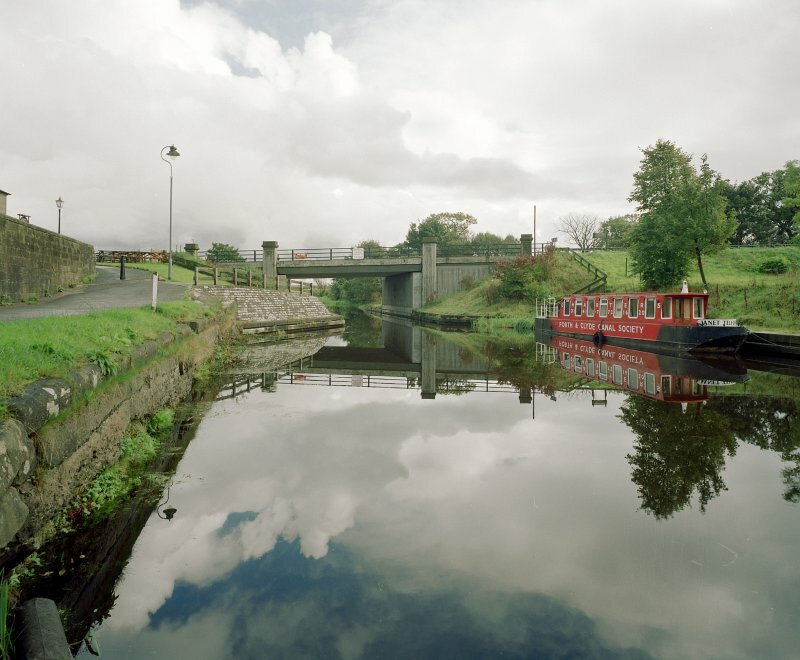 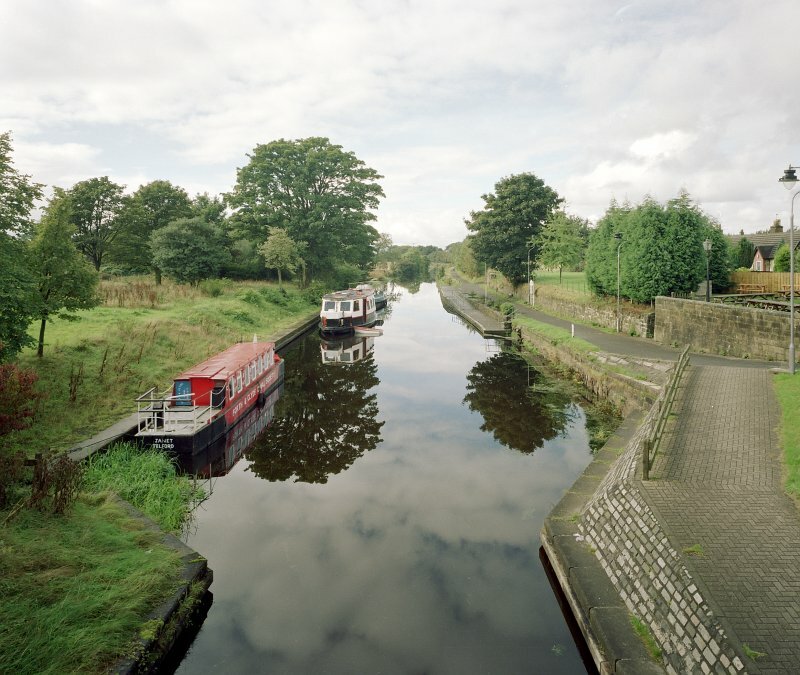 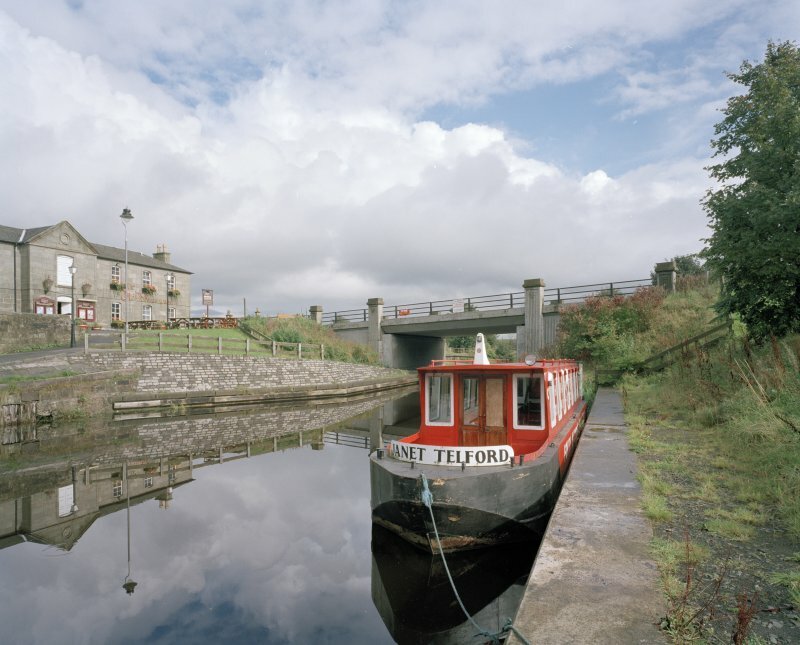 Glasgow, Forth & Clyde Canal.